The late Jess Horn was a true pioneer of modern custom knifemaking, producing collector quality folding knives in the early 1970s and directly inspiring Sal Glesser to form Spyderco. Horn later collaborated frequently with Glesser, creating several designs over the years, none more prized than the "Baby Horns" produced in the late 1990s. The knife you see here, the Baby Jess Horn, is a rebirth of that classic model. 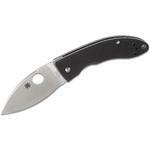 Spyderco's signature ambidextrous opening hole deploys the slender blade. VG-10 blade steel promises a long lasting edge and the full flat grind is perfect for efficient slicing. 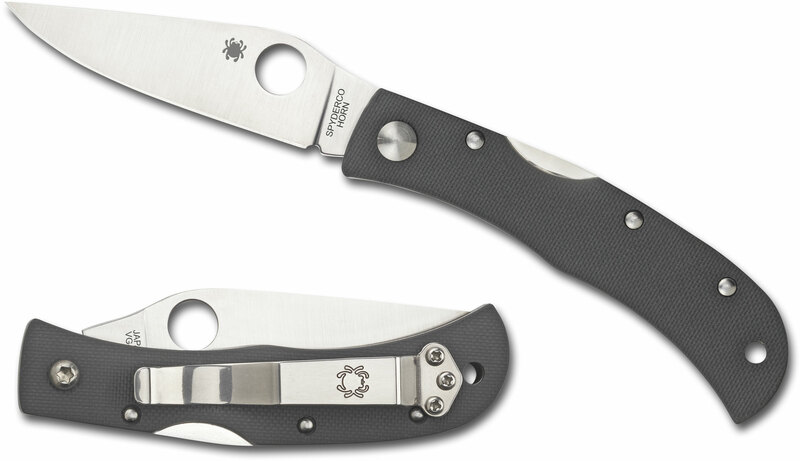 Spyderco's "bug" logo adorns the presentation side of the blade, and Jess Horn's signature graces the reverse. Despite the small proportions of the Baby Jess Horn, this knife is made to work. 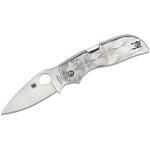 Textured gray G10 handle scales grant durability and grip. Full stainless steel liners and backspacer provide plenty of strength and a sturdy lock back extends midway down the handle, keeping the blade secure. Making this new Baby Jess Horn easy to carry are its slim frame, lightweight (only 1.9 ounces), and a strong pocket clip for right side, tip-up carry. 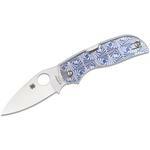 Hey, I wanted to share "Spyderco Baby Jess Horn Folding Knife 2.6 inch VG10 Satin Plain Blade, Gray G10 Handles, Sprint Run" with you from KnifeCenter.